Andrew V. Papachristos, Sociology, Institute for Policy Research, Northwestern Univ. Gun violence is a central public concern in the United States, annually leading to the deaths of 31,000 individuals and the non-fatal injuries of 78,000 others. It has been called an epidemic and a public health crisis. For infectious disease epidemics and associated public health planning (including recent Zika and Ebola outbreaks), officials relied on mathematical models to evaluate immediate responses and develop preventative policies. The construction of policies to curb the spread of gun violence could benefit from the development of mathematical models linked with available data. This workshop will bring together researchers from diverse disciplinary backgrounds to (i) review the existing approaches on the mathematics and modeling of gun violence, (ii) identify and prioritize areas in the field that require further research, (iii) develop cross-disciplinary collaborations to gain new perspectives, and (iv) suggest research and data-collection that could assist evidence-based policy recommendations. A direct outcome from this workshop will be a comprehensive review of existing models on this topic with suggestions for further effort. 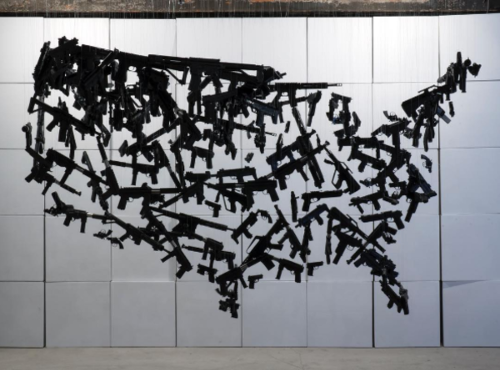 It is expected that collaborations arising from the workshop will result in novel efforts to enhance the quantitative underpinnings of the science of gun violence. The workshop will incorporate discussions and critiques of the existing approaches to gun violence modeling and how these relate to the objectives for which models could be developed. Comparisons of various modeling approaches (including dynamical systems, agent-based, spatial, and statistical) and the parameterization of these models will be considered. Through discussions of existing and future models, we will also assess the available data and suggest new data collection. The workshop will consider the variety of scales at which models of this system can be developed and the associated implications at these different scales. The relationship to models for human behavior, including those from social psychology and game theory, will be evaluated. Effective approaches to building a theory of gun violence, which will then inform a science of gun violence, will require perspectives from multiple disciplines. The workshop will consider a systems approach that bring together interacting factors and components operating on multiple scales of time and space. Attendees will incorporate ideas from various quantitative fields (including mathematics, computer science, statistics, and informatics), social science areas (including geography, psychology, and criminology), and biological disciplines (including behavior, medicine, and ecology). The necessary research will be informed by practitioners involved in policy and law enforcement and will account for ethical issues of social justice and privacy. An objective is to consider how models might inform potential interventions, communication formats, educational initiatives, and control methods. The workshop will include presentations from participants, a poster session to indicate the diversity of methods currently being used in the field, and breakout groups on topics chosen with input from participants. Participants will be expected to contribute to a review outlining the current approaches identifying gaps in the literature, and presenting potential future directions. A pre-workshop webinar will be held from 2-3 p.m. EDT on Wednesday, April 17. The objective of the webinar is to foster a common vocabulary for all those interested in this research topic, to review the existing literature on mathematical approaches to gun violence, and respond to posted questions as time permits. Although the main audience for the webinar will be the group of experts participating in the Workshop, the webinar is open to the broad research community. Registration is required to obtain access to the webinar. Click here to register. A link to participate in the webinar will be provided to all registrants prior to the webinar. Live Stream. Most Workshop presentations will be streamed live. Note that NIMBioS Investigative Workshops involve open discussion and not necessarily a succession of talks. In addition, the schedule as posted may change during the Workshop. To view the live stream, visit http://www.nimbios.org/videos/livestream.